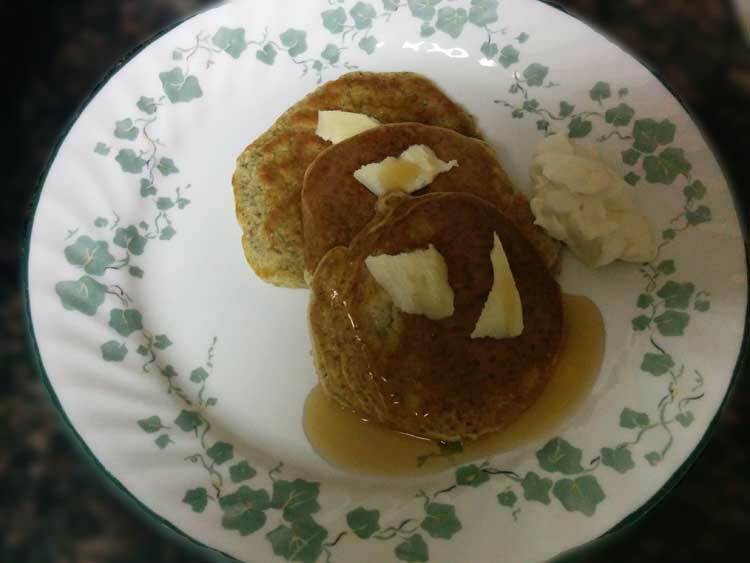 With pancakes being one of my favorite breakfast items, I tried my hand at making a low carb version. I know what you’re thinking, keto pancakes aren’t exactly ground breaking. A quick Google search will yield countless of recipes, including cream cheese and almond flour based recipes. The recipe I’m sharing with you today has been around for ages, commonly used by body builders. I’m talking about protein pancakes! I love how versatile protein powder is, allowing me to recreate all kinds of delicious sweets just by subbing out the flour. I did add my own little touch to the boring proteincakes though. A little bit of ground flaxseed is what transforms these into the real deal. On top of making the perfect pancake texture, flaxseeds are loaded with fiber and many other health benefits. Does it get any better? Not only do you get tasty pancakes, but you’re even loading up your body with everything it needs! I’m all about that simple cooking so this recipe is both easily and quickly prepared. Fresh, hot, keto friendly pancakes are ready to be served in under 10 minutes! Topped with butter, syrup, and whipped cream! This discovery has definitely reinvented what a low carb breakfast means to me. When I have an early sweet tooth, all I have to do is whip up a batch of these pancakes to curb those cravings. As you can tell, my pancakes definitely aren’t the most aesthetic. Adding more flax or protein would help thicken the batter, making it easier to cook. Either way, looks don’t matter, especially when they’re for my own consuming pleasure! I found that these are a lighter alternative to the other low carb pancake recipes. The flax and protein powder aren’t as calorie dense as cream cheese or ground up almonds. If you need something light yet filling, this is definitely a recipe I would recommend. You can always mix in other ingredients to step up your pancake game. Cocoa powder for some of that rich chocolatey goodness, or toss in some cinnamon to spice up your life. 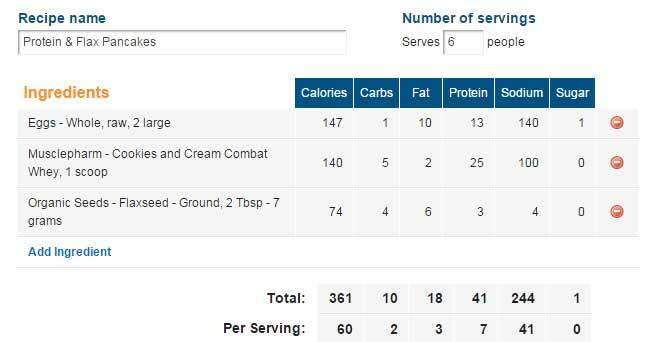 Here’s the nutritional breakdown for the recipe. The protein powder I have on hand is a bit higher in carbs. There are plenty of other, lower carb alternatives for you to choose from. Serving size also depends on the size of your pancakes. For the sake of numbers, I estimated that this would yield approximately 6 decent sized pancakes, but it may vary depending on your ladle. Was on the hunt for pancakes I could make while camping and trying to keep keto and I have found the winner! So happy to see a recipe that doesn’t require cream cheese and a blender. Mine turned out a little on the dry side but nothing some butter and syrup couldn’t solve 🙂 thanks!